If you are looking for fertility pills for women, you’ve probably been struggling to conceive for a while now. Whether you have tried other methods before or not, you should know that fertility drugs are usually not risky at all – they may work or not, but they do not damage your body or your future odds of having a baby. Claim Your 20 Free Pregnancy Tests – Click Here! There is a wide range of products for women. In general, fertility treatments are prescribed either for ovulation issues or for miscarriages that are recurrent. Nonetheless, even with using this sort of medication, it can take up to a year before you will get to the desired result. 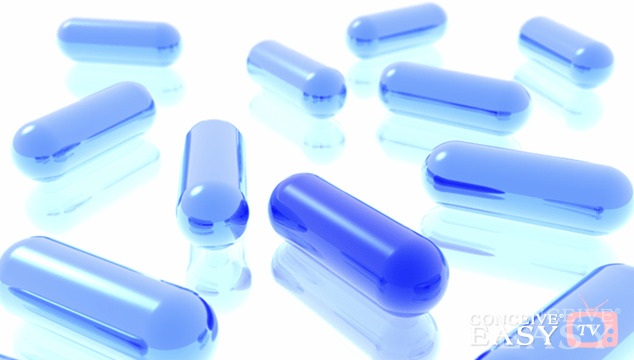 Furthermore, there are special cases in which fertility drugs are prescribed. For example, if a couple is about to try IVF (in vitro fertilization), the woman might be prescribed fertility drugs that will increase the number of eggs produced by the ovaries, eggs which afterwards will be collected for the IVF treatment. In general, all fertility drugs work by stimulating the follicle development of the ovary system. You can choose between 3 categories of fertility pills to get pregnant: Estrogen antagonists, Gonadotropin-releasing hormones and Gonadotropins. All these work by enhancing ovarian activity. Some of the drugs in the estrogen antagonists and the gonadotropins categories may cause multiple births and, in very rare cases, ovarian hyperstimulation syndrome. Apart from these, there are no known adverse effects of fertility medications, making them quite safe to use – most of these products have been successfully used for over 30 years now. If you have decided to try infertility pills, you should also know that you can raise the odds offered by drugs by making other changes in your life. For example, healthy living is a very important factor. It goes like this: the healthier you are, the more will your body be ready for pregnancy, and thus, the more it will try to achieve it. Managing stress, getting plenty of rest, not consuming alcohol and drugs, avoiding cigarettes – these are just some of the things you can do to raise your chances. Using fertility pills for women might work, but these drugs certainly cannot do wonders if you do not give them a proper and healthy playground. What is more, make sure that trying to get pregnant does not become a reason for anxiety and depression. Try not to have a sexual life centered around this, as odds are that it will not help you. Just let things flow, enjoy your partner, follow the prescription, lead a life as healthy as possible, and everything will work out well. Whichever treatment you choose, do not make it a burden: almost all infertility problems can be treated and chances are you will be experiencing motherhood in less than two years. The idea is not to ignore it, but to act on it and let the treatment take its course without letting the problem bother you too much. Just like any treatment, using pills to get pregnant will not work better if you stress yourself!